We saw our queen the other day and we decided to mark her. 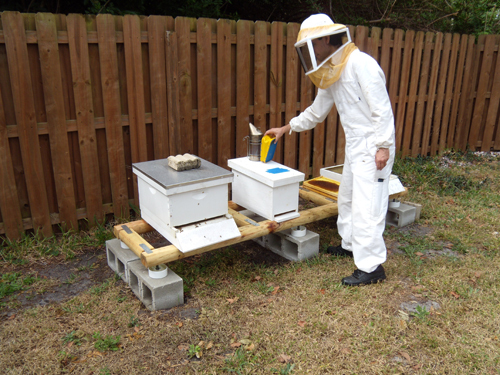 It makes it easy to find her when you are doing a hive inspection. 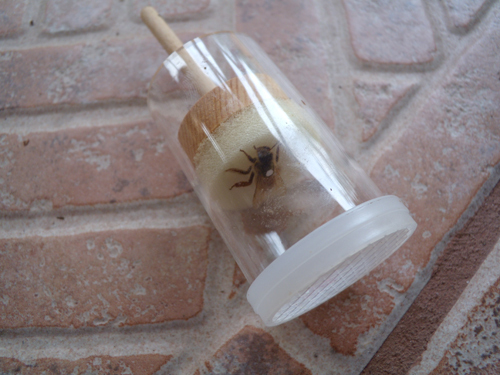 It also helps during swarming season to know when a queen swarmed and you have a new one. 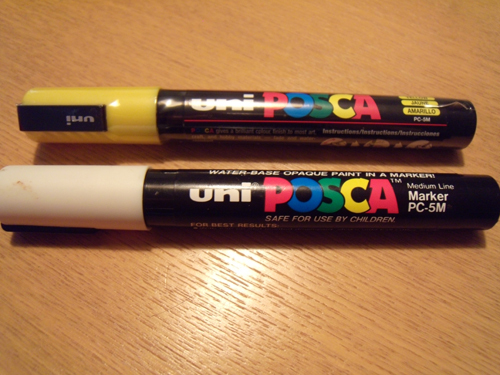 The markers we use are Posca by Uni. And if you are wondering why we used white, it is because there is an international color code you follow depending on when the queen was produced. This queen was born in 2011. We built a wood frame, then got some long bolts and PVC caps. 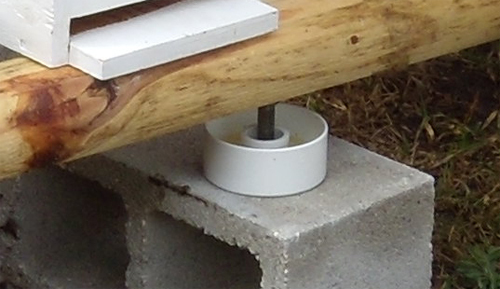 We drilled holes into the wood, stuck the bolts into the wood and placed the other end inside the PVC cap. 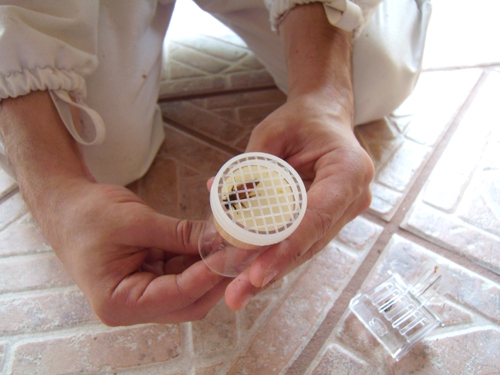 The cap is filled with vegetable oil to create a moat around each leg to trap any ants. So far so good, no ants have made it past the traps.